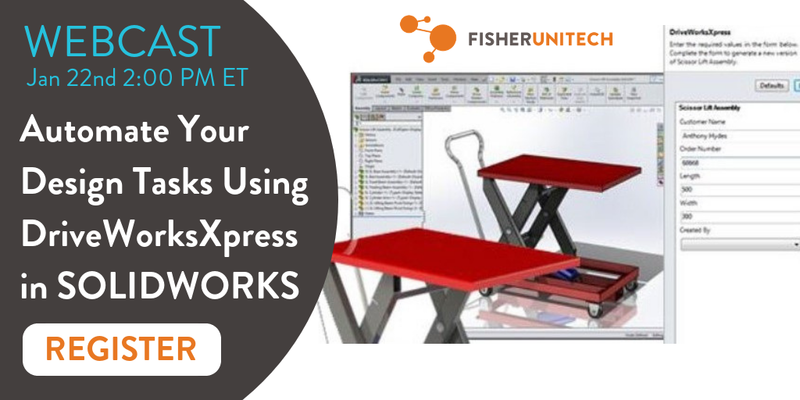 Join Fisher Unitech to Learn About DriveWorksXpress! DriveWorksXpress is a time-saving design automation tool, free inside every license of SOLIDWORKS. It allows you to configure designs that are the same but different — quickly and easily, by allowing you to create custom variations of your existing SOLIDWORKS models.